My denomination, the United Church of Christ, taught me that God’s Table has an ever-widening welcome. No matter who you are or where you are on life’s journey, you are welcome here! 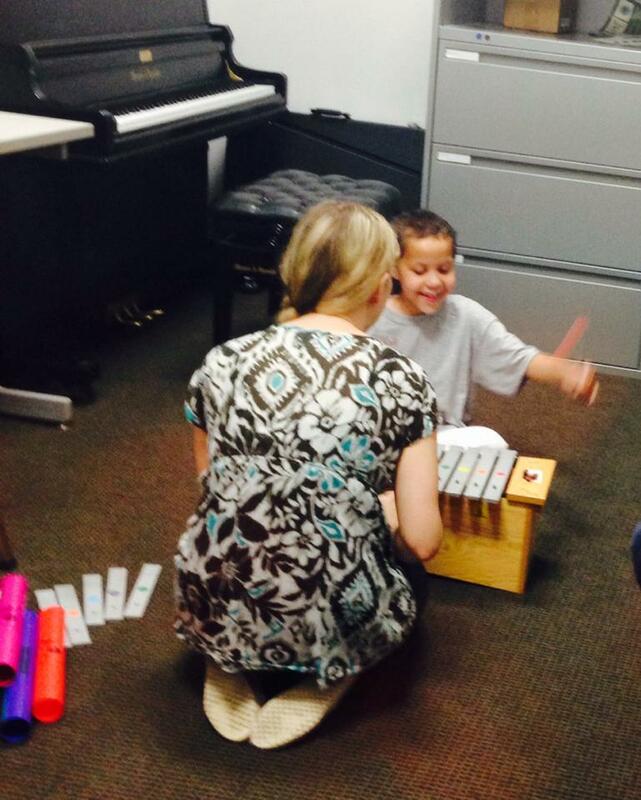 My oldest having a blast on the xylophone at music therapy! Here is an example of art changing lives. Music therapy makes a huge difference in the lives of all kinds of people– from children on the autism spectrum like my son to those who have experienced trauma. Music makes a difference. Of all the activities and therapies we do for my son, working with Ms. Kerry has made the biggest difference in his life– and ours! Truly a gift from God. Through the music therapy program, our family has come to support The Musical Autist— their sensory friendly concerts are awesome! My denomination’s Rainbow Scarf project touched the lives of many, handing out thousands of rainbow scarves to people who promised to be advocates against bullying. So many people used their “art” (knitting and crochet) to make a difference, and I can personally this is true as so many of us handed them out at General Synod 2013. 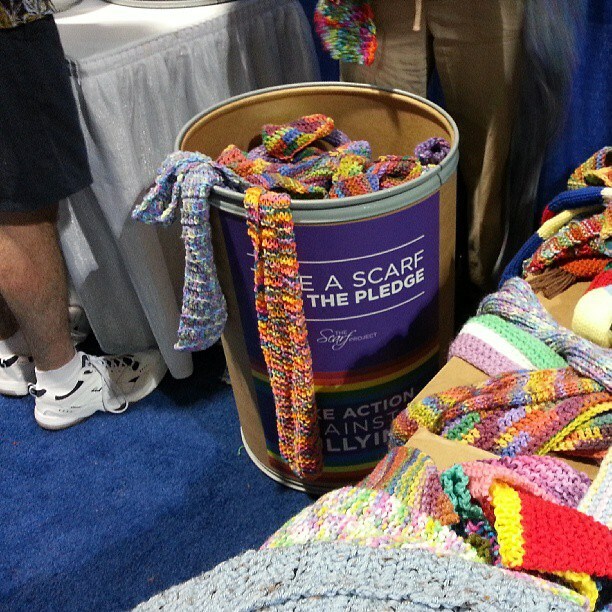 The overflowing bin at General Synod 2013 collecting rainbow scarves. Many churches have a Prayer Shawl Ministry, as does my church at St. John’s UCC. The shawls make a difference not only in the life of the recipient, but in the life of the crafter as well. In the Baltimore area, we are especially proud of the United Ministries at Earl’s Place. It’s a local transitional facility for homeless men. Often, the men are encouraged to explore their feelings and their sense of spirituality through art of all kinds– and what they produce is powerful! Another great story is the Knitting Behind Bars program here in Jessup, MD. Knitters are working with men to give them a skill that gives their lives value and pleasure. I love this story! This woman turned her love of dolls into a project that transformed over-painted and over-sexualized faces into the innocent faces of children– her dolls actually look like the kids who play with them. What an amazing transformation, and what a powerful affirmation for young girls as their self-perceptions and body-images are being formed! As someone who feels passionate about positive body image for all people, especially women and children, I love this project. How I wish my dolls as a child looked like this! Check out Tree Change Dolls on Facebook and Tumblr.